EPo's mission is to provide our customers with the best designed and operating solar system of any size, for your needs. Our goal is to create value for your business or farm in just a short period of time, through our customized solar energy systems. EPo Energy provides turnkey installations that include economic evaluation, site analysis, engineering, design, installation, and maintenance. We will handle all of the paperwork required by your utility company and local government. If there are grants available for your projects we can complete these applications for you. Our low overhead allows us to offer the highest quality systems at the lowest prices possible. 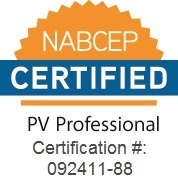 We've partnered with Gexpro to source and design our solar energy systems. Gexpro is a division of Rexel and is the largest global electrical distributor with offices in 38 countries and 30,000 employees worldwide. Rexel shares our passions and goals. Their mission is to support customers around the globe to help them create value to their businesses by provide broad range of sustainable and innovative products and services. Gexpro has been involved in the design and material distribution of Photovoltaic (PV) components for the last 5 years and has become one of the leading PV distributors in the U.S. During this time Gexpro has designed and supplied PV material for individual projects up to 2 MW and has sold over 75 MW of solar modules in the U.S. Gexpro is unique in that they not only sell PV material but also take an active role in the design and implementation of these products. All of our founders are successful entrepreneurs from Iowa and live in Iowa. Jason Egli and John Brandt bring over 40+ years of international corporate experience to the company from organizations in the agricultural, chemical, biotech, accounting and medical areas. The Porter family is from southeast Iowa and have successfully row crop and livestock operation. The Porter brothers, Nathan, Ryan and Mark, each has their key role in the farming operation with Nathan overseeing the row crop operations, Ryan managing the livestock operations and Mark running a very successful crop insurance and risk management company. The Porter family has been in the community of Libertyville and the surrounding area for over 90 years. EPo Energy was started by the founders so we could bring a sensible low cost option for renewable energy and energy efficiency systems for the agricultural industry and small business community. Since our inception in 2013, EPo has installed 3.2 MW or 20% of Iowa's solar energy systems. For us, this is more than a business. Everyone wants to see their next generation better taken care of than the last. And with solar energy, we have a clean, renewable energy. It eliminates our electrical supply's carbon footprint, keeps the area green and provides our customers with a low cost electricity supply. Solar is an extremely reliable source of renewable energy. Contact EPo Energy and watch as your solar system provides an eco-friendly and sustainable energy source.